How to Select Low Risk High Return Stocks in Equity Market? 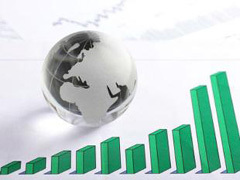 Home » Stock Market » How to Select Low Risk High Return Stocks in Equity Market? Every Investment today comes with risk & return. Higher the risk higher is return that is known fact. Selection of asset class mainly depends upon individuals but given a chance every individual will select low risk and high return investment right! Many individual today avoid stock market investment thinking that stock market investment is risky affair. This is because majority of them has experienced in purchasing stock at overvalued/high price so although it is blue-chip stock it may end up giving them low return. So, Million dollar question is how to select low risk high return stock in equity market? Although it is difficult question to answer we are here with proven Capital Asset Pricing model which can help to select low risk high return investment. 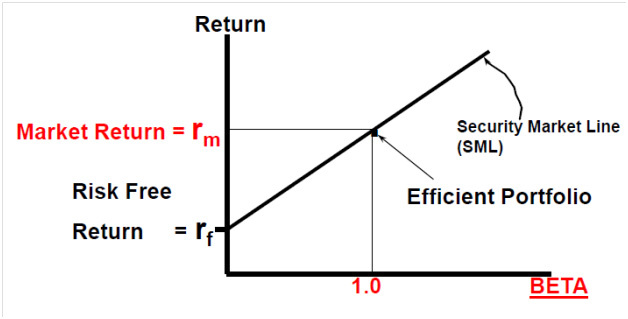 Point of intersection in Y axis is known as Market return and X axis is known as Beta. Beta = 1 leads to Efficient portfolio. Beta measures volatility in a stock. It is the measure of systematic risk or more specifically, market risk of a stock investment. Stocks that have a beta greater than 1 have greater price volatility than the overall market and are more risky. Stocks with a beta of 1 fluctuate in price at the same rate as the market. Stocks with a beta of less than 1 have less price volatility than the market and are less risky. Please note these beta values are computed using trailing twelve months data. This model is popularly known as Capital Asset pricing model. (CAPM) The CAPM says that the expected return of a security or a portfolio equals the rate on a risk-free security plus a risk premium. If this expected return does not meet or beat the required return, then the investment should not be undertaken. 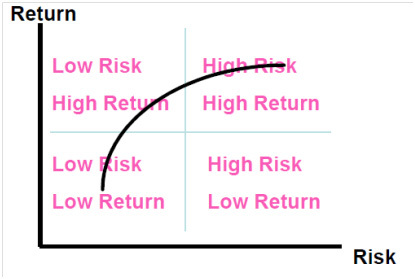 CAPM describes the relationship between risk and expected return and that is used in the pricing of risky securities. We can compute the expected return of a stock in this CAPM example: risk free return is 8%, the beta (risk measure) of the stock is 2 and the expected market return over the period is 10%, the stock is expected to return 12% (8%+2(10%-8%)). Beta is just one measure to identify low risk high return stock, while selecting stock one should carefully consider company fundamentals, core business and past return that will give you a much better picture of the potential long-term risk.